What do you do when you are given two huge bags full of apples? I love apples and I've been munching on a few, but there are only so many I can eat at once. I've decided the majority of them are going to be peeled, sliced and used for baking and making apple butter. Fitting them all in one bowl doesn't make it look like a whole lot, but that is the largest bowl I own, 42-cup capacity. 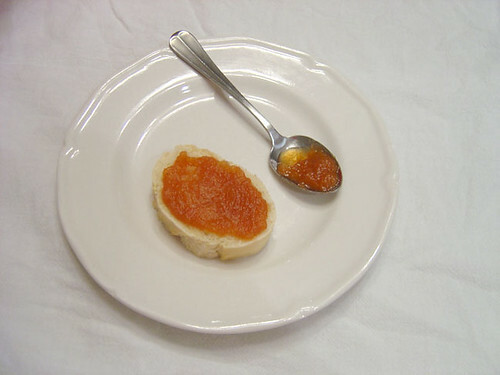 I was in 7th grade the first time I ever tasted apple butter. I was spending the weekend with my best friend at her father's house, and they had a small "orchard" for a back yard. 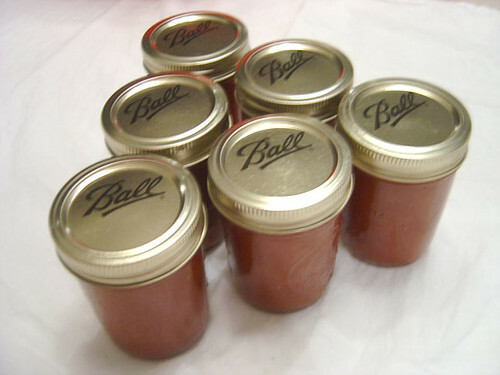 Her step-mother made apple butter every fall, and I remember when we arrived the whole house smelled like apple, cinnamon and nutmeg. We had fresh baked bread with apple butter at just about every meal, and ever since I anxiously await jars of apple butter to show up at farmer's markets in the fall. With a surplus of apples, my first thought was to try my hand at making apple butter. So, I went shopping last night for all the ingredients to make apple butter. I'll put some apples aside for Apple Galette and Caramel Apples as well, but the majority will go towards the Apple Butter. I'm hoping it turns out well and I will hopefully have enough jars to give a few away for Christmas. 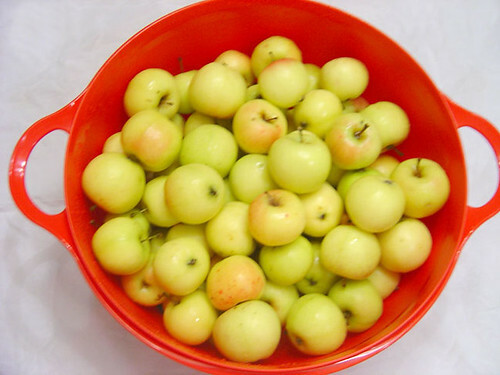 In a large saucepan, bring apple juice concentrate, apple cider, and apples to a boil. Reduce heat to low. Stirring occasionally, simmer uncovered about 1 hour, until apples are easily mashed. 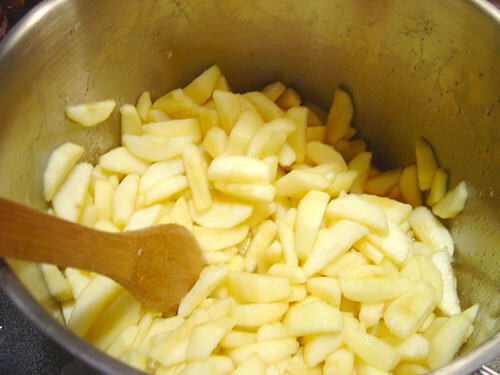 Mix dark brown sugar, apple brandy, cinnamon, ginger, and cloves into the apple mixture. Bring to a boil, reduce heat, and simmer uncovered 2 hours, stirring occasionally, until thickened. Transfer to sealed sterile containers, and cool at least 1 hour before serving. 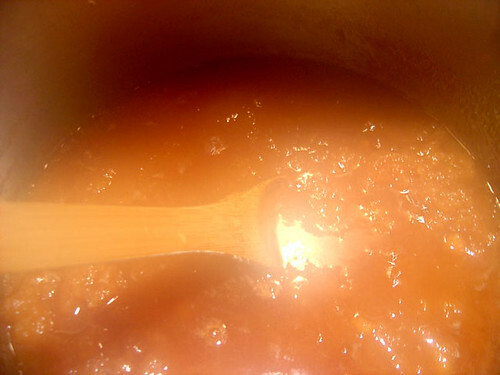 I have a huge stainless steel pot I use for making up larger batches of soup, chili, which handled the apples perfectly. Just before transferring to jars, the steam made this quite a blurry picture, but the smell is heavenly.